Toilets have come a long way, historically. We have evolved from holes in the ground to shared latrines (ew) in Roman times that had running water. We’ve had privy closets, chamber pots, and finally, the toilet that eventually became the modern equivalent of what we know today. We have been taught that running water is what made our modern toilets more convenient and hygienic. The modern urinal has been man’s best friend ever since. So why on Earth would a waterless, or flushless urinal, be a better option? First, What Exactly IS a Flushless Urinal? A flushless urinal, or waterless urinal, is a regular urinal with no water. It’s pretty self explanatory in that sense. So wait, you think- does that mean that everything ends up just…sitting there? Thankfully, no. 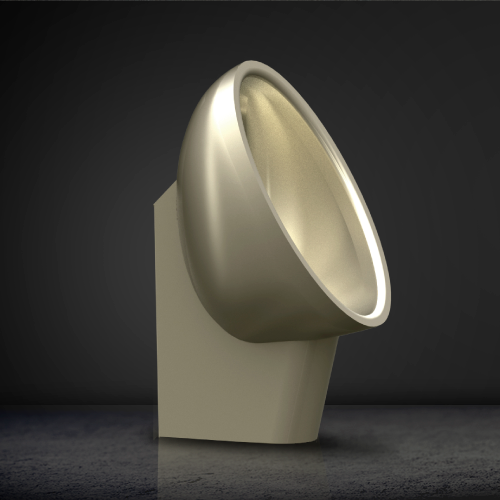 A flushless urinal is designed to trap urine in a sealant. Essentially, the urine tracks down the pipe, then through a strainer to slow down the flow. It falls into the sealant below, which is usually a specially designed oil based fluid, or even basic vegetable oil. Due to the different viscosity and density of the two liquids, the urine is essentially trapped in the oil liquid. The best part? Any odor is also trapped in it as well, which means your nostrils will never be bothered by any trace of typical bathroom smells. What are the Best Uses for a Flushless Urinal? While anyone is welcome to install a waterless urinal wherever they want, these units are going to be ideal for high traffic businesses. Hospitals, offices, rest stops- all of these areas benefit from flushless urinals due to the lack of smell, the constant use, and risk for damage. How many times have you walked into a high traffic bathroom and have seen an out-of-order sign, or someone forgot to flush? Flushless urinals can make that a thing of the past. Did you know that the average toilet uses about three gallons of water per flush? Now think about how often you use the bathroom. Now think about how often a building full of people use the bathroom. That’s a lot of water that is being used. A flushless urinal can cut down water usage by a huge margin, which helps with cost efficiency, energy efficiency, and can even help businesses get LEED certified. LEED stands for Leadership in Energy and Environmental design, which means a building meets certain environmental standards that help keep our environment healthy. Water usage is a big problem, which means that if you can save three gallons of water from every flush, you can make a big difference! 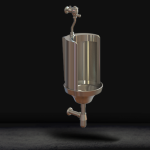 At Stainless AD, we provide quality stainless steel flushless urinals that are both easy to use and easy to maintain. Did we mention you can say goodbye to exploding, overflowing toilet emergencies? 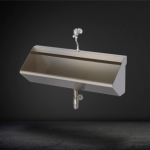 To learn more about flushless urinals and find out how fast you can have your installed, contact our experts today!